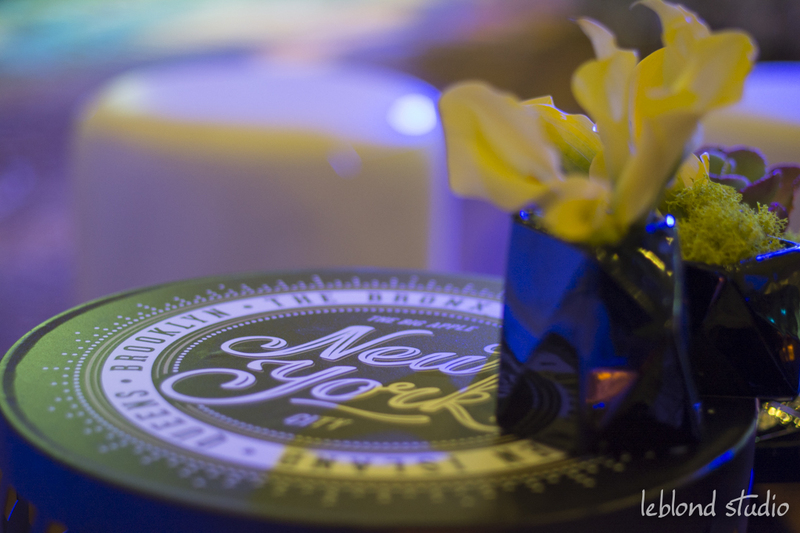 The NCPC Gala is themed each year around the location of the trip given away at the event. 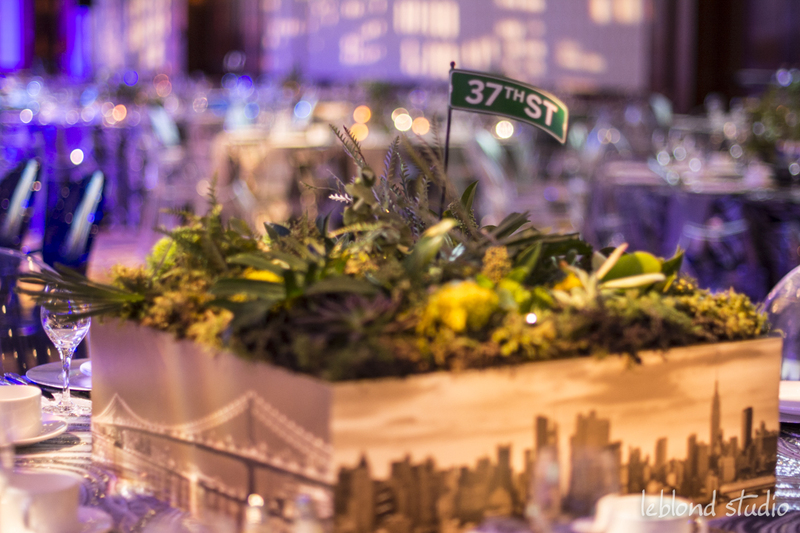 For the theme of New York City, our team wanted to reference quintessential NYC places and details in ways which felt fresh and experiential. 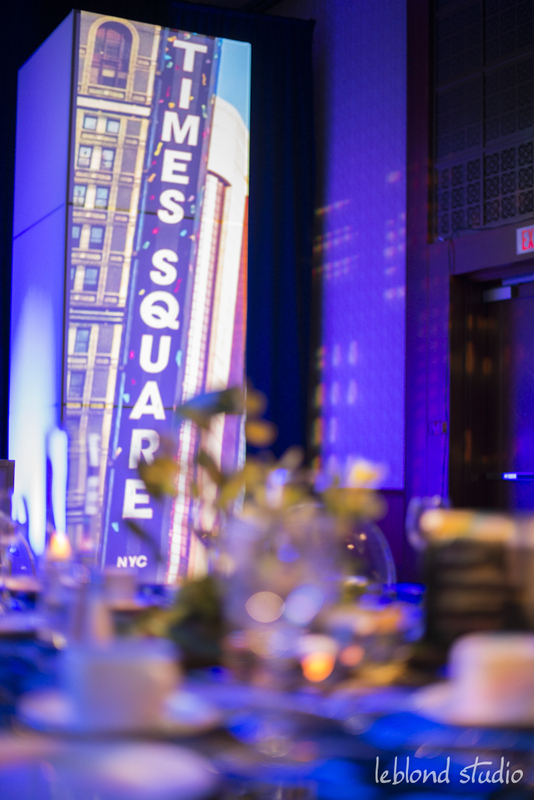 The goal was to create an all-encompassing environment that captured the ambiance of the city through lighting, texture, and pattern, as well as direct visual reference to familiar buildings, landmarks, and signage. 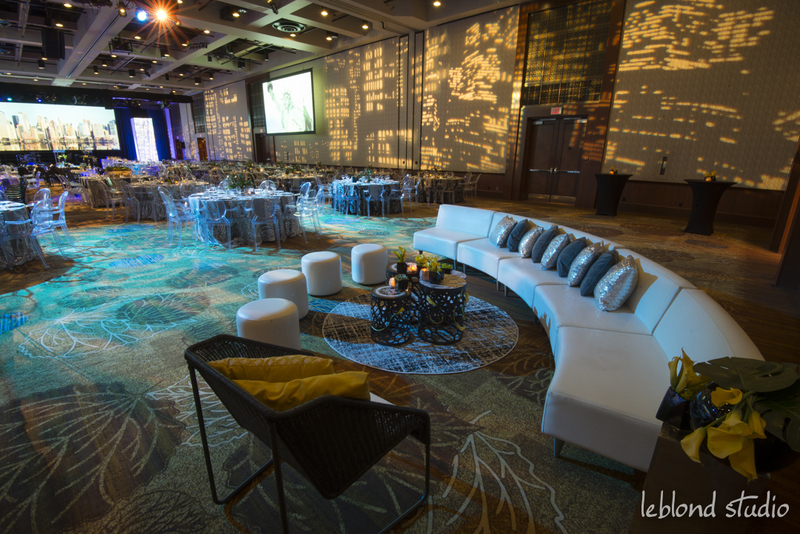 We also focused on juxtaposing modern and classic, and urban and natural. 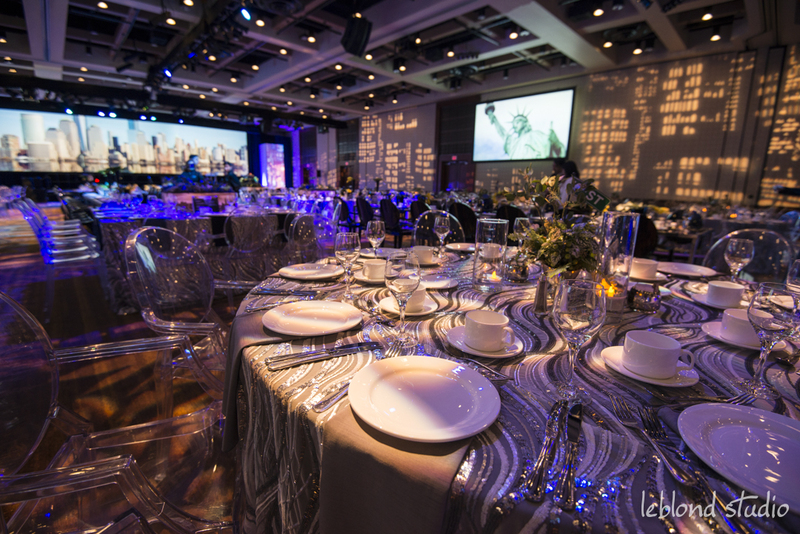 The gala required table seating for 500 guests, and a stage area where the evening’s program would take place. 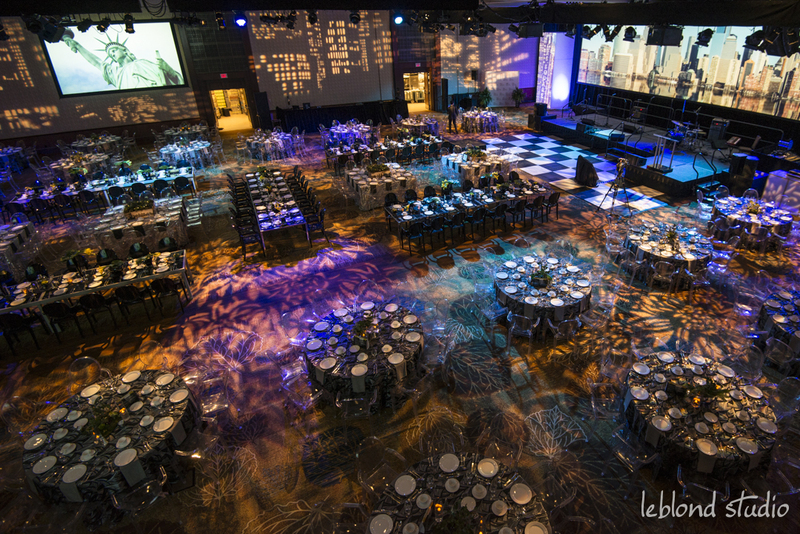 To start, we took full advantage of the venue’s soaring ceilings wrapping the space in projections of towering skyscrapers at night. 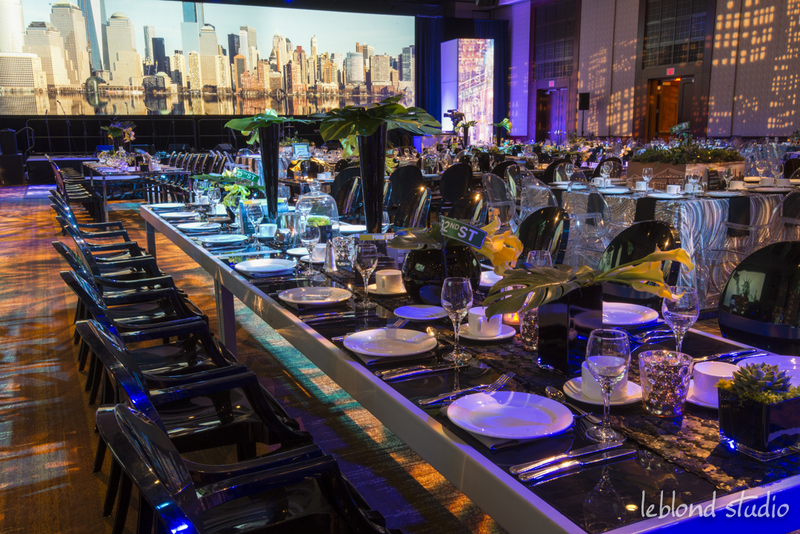 Taking further inspiration from the grand cityscape, the stage design included spandex columns used to display projections of NYC facades, as well as program content when necessary. 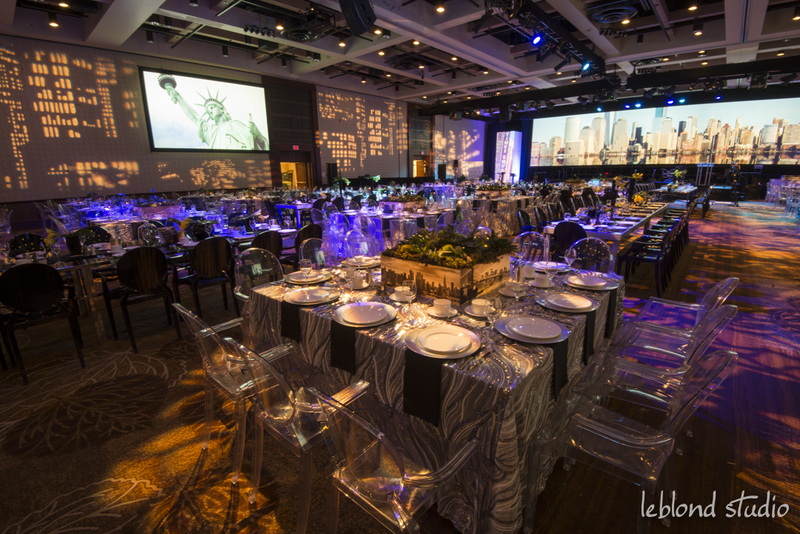 The dazzling effect of the cityscape at night was carried through to detailed tablescapes, which were also heavily inspired by iconic Central Park. 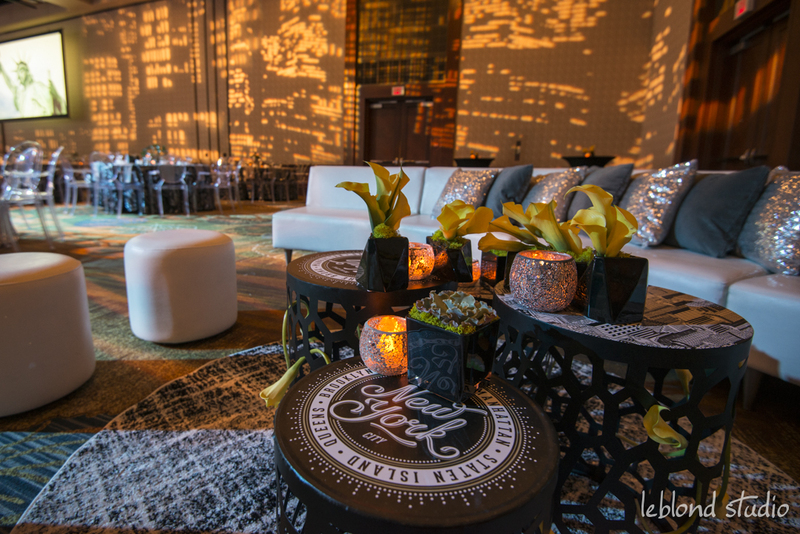 Moss, greens, and boxwood spilled out of beautiful tabletop risers, which featured CNC-cut “windows” that glowed with warm light from within. 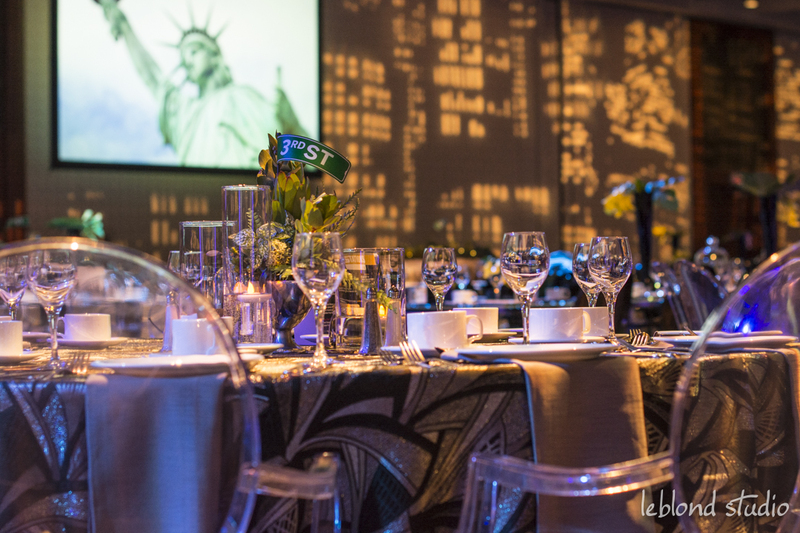 Glamourous linens were chosen to evoke the lights of the Empire State Building against the night sky. 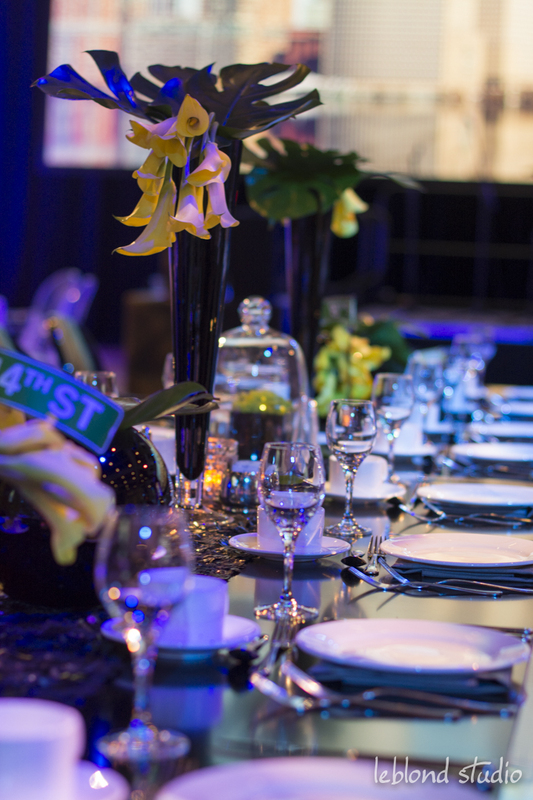 The overall impact of the room was sleek and modern, but the lush tablescapes showcased a softer side of NYC, and vintage elements such as newsprint materials and directional signage from the ‘40s referenced the city’s history.